T&E spend is your second-biggest line item. How much of it do you want to see? Odds are, you can’t see all your T&E spend — and if you can’t see it, you can’t manage it. Concur gives you visibility into every piece of expense data from every corner of your business, empowering you to make great business decisions. Find out how. 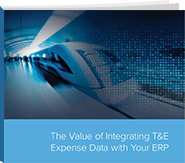 Know it all — integrate T&E and ERP and see where every dollar is spent. Find out how to integrate every bit and byte of your T&E and ERP data, so you can get a single, accurate and instant look at the financial figures that drive decisions and overall performance. How much does expense fraud affect your company? Asia Pacific businesses lose approximately 5% of revenue to fraud each year. It's an issue that affects businesses of all sizes and industries. This e-book explains how you can identify, uncover and manage expense fraud. You'll also learn practical solutions to help prevent fraud. It’s $50 billion. Where does it all go? This report shows you how, when and where corporate spends its T&E budget — so you can spot trends, sharpen your negotiating skills and see how you stack up. In the end, you’ll manage your money more efficiently. 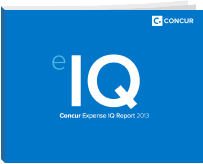 Contact us to learn how Concur works and how we can help you gain better visibility.